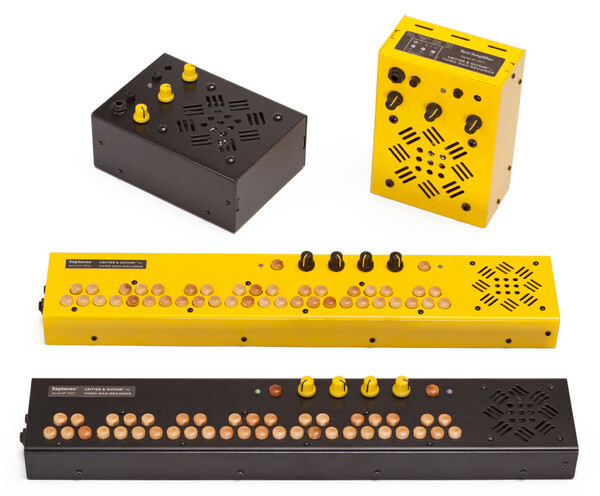 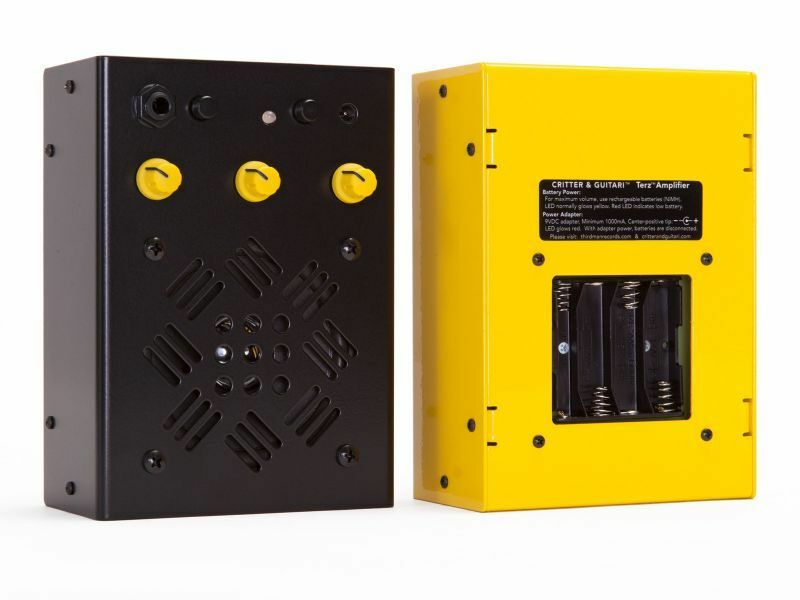 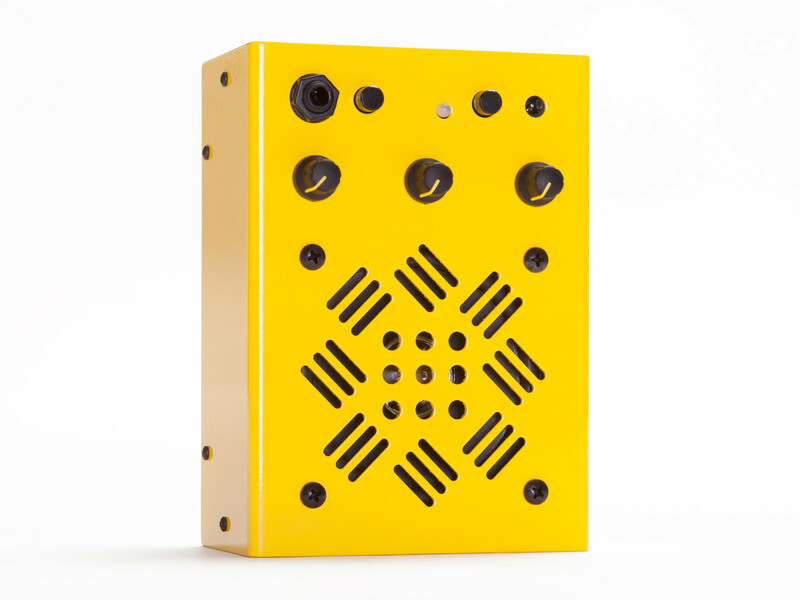 The Terz Amplifier, designed specifically for Third Man Records, is a hybrid of classic analog amplification circuitry and cutting edge power electronics. 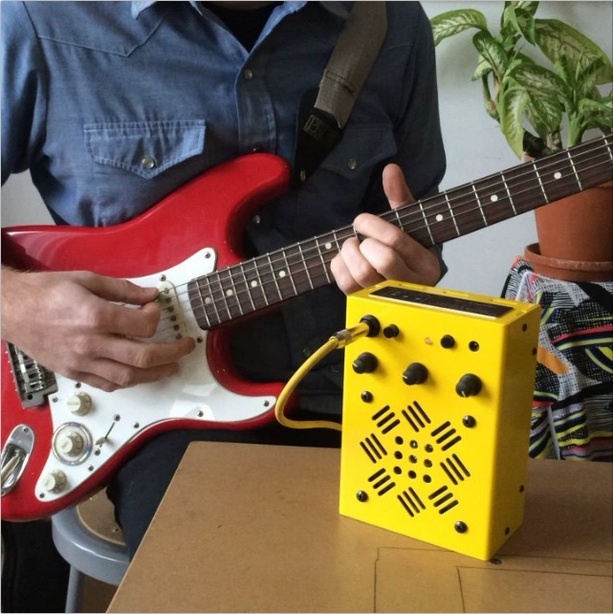 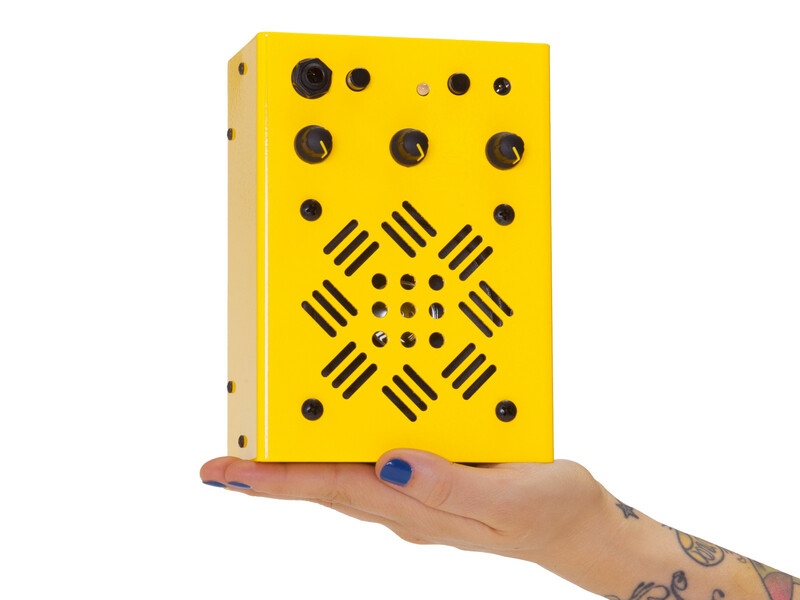 It is a portable, loud amp that sounds great while using only four rechargeable ‘AA’ batteries. 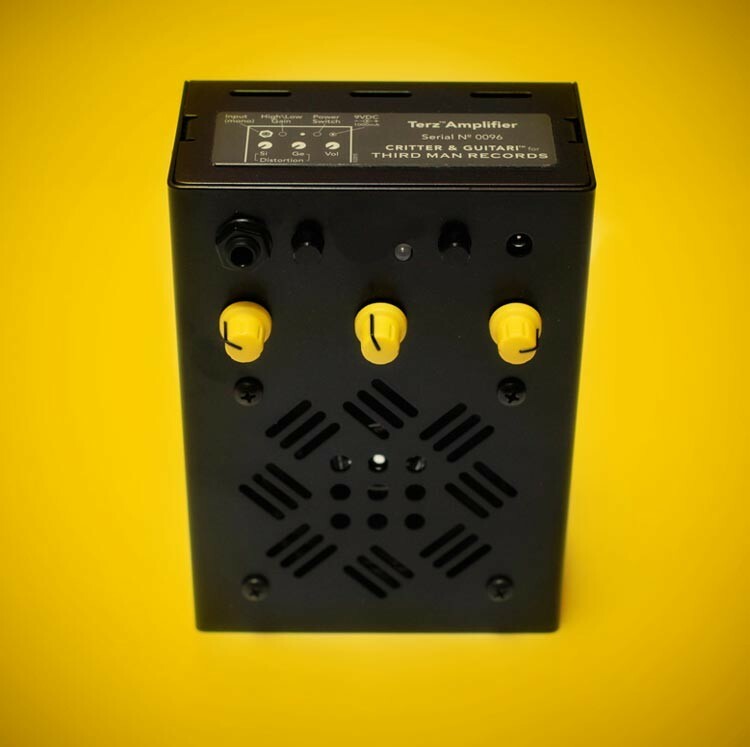 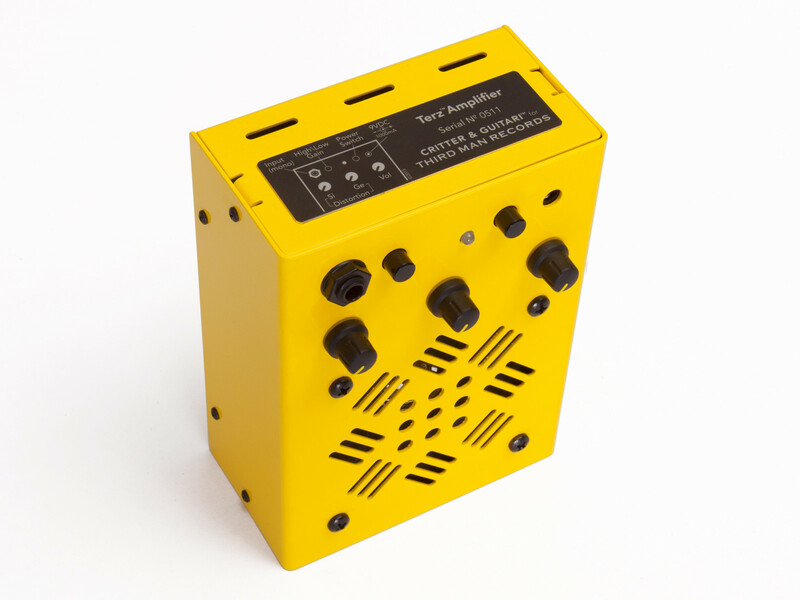 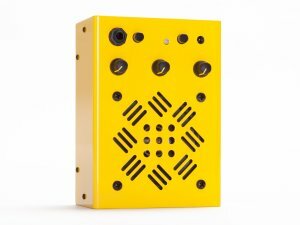 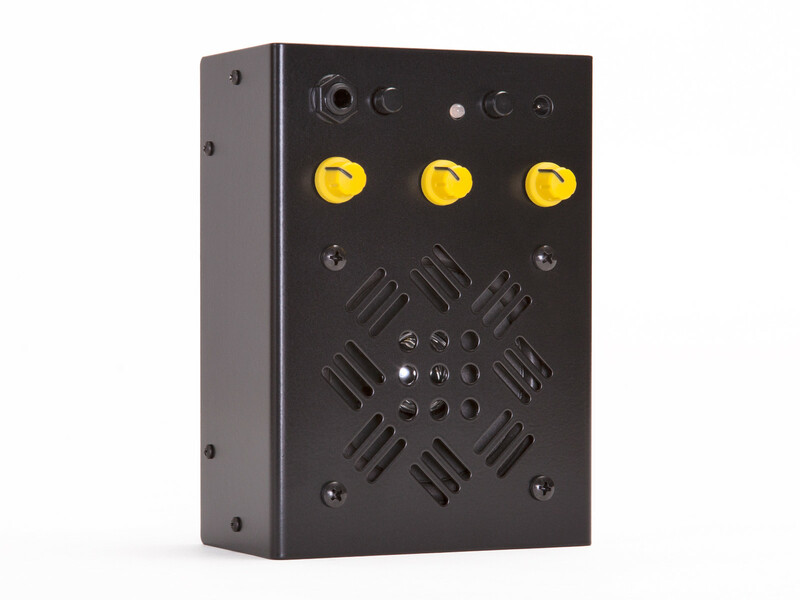 Alluding to the “three” in Third Man, the amp has just three controls: High and low frequency gain and volume. 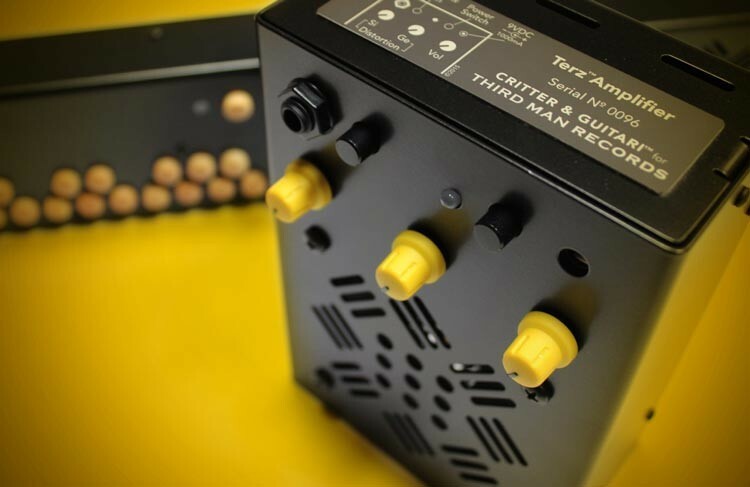 The speaker grill design also riffs on the idea of “three.” The name ‘Terz’, meaning “third” in German, is a name of smaller classical guitars - we thought it fitting considering the size of the amp! 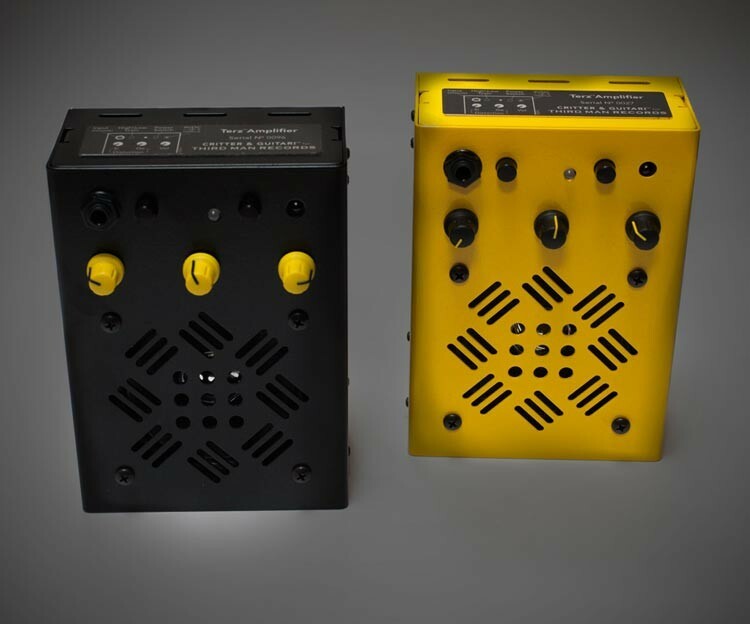 There are two analog gain/distortion circuits behind the sound of the amp. 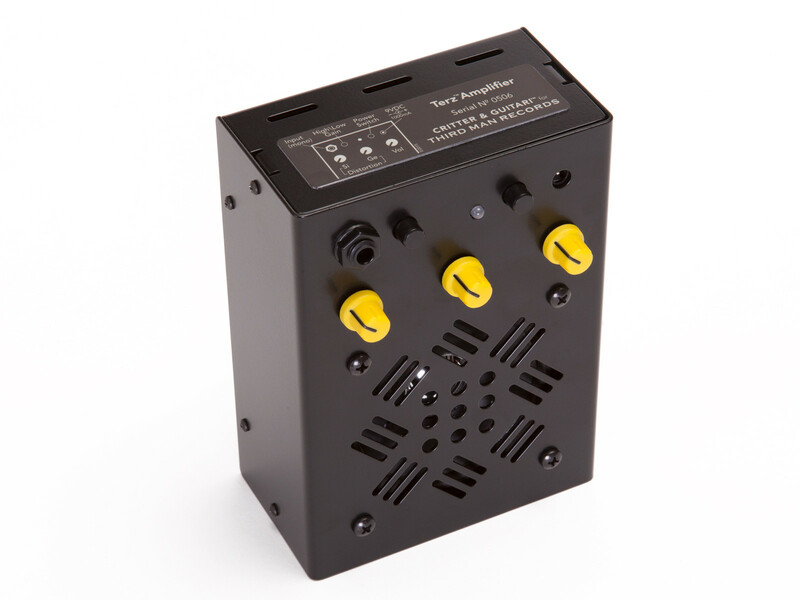 The left knob controls the amount of silicon diode distortion and low frequency adjustment. 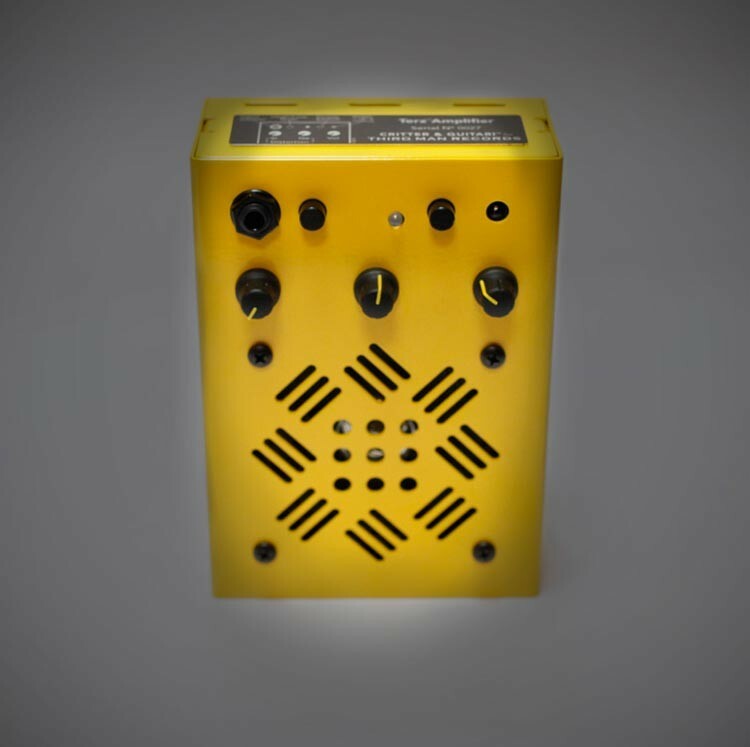 The center knob controls the amount of germanium diode distortion for high end crunch. 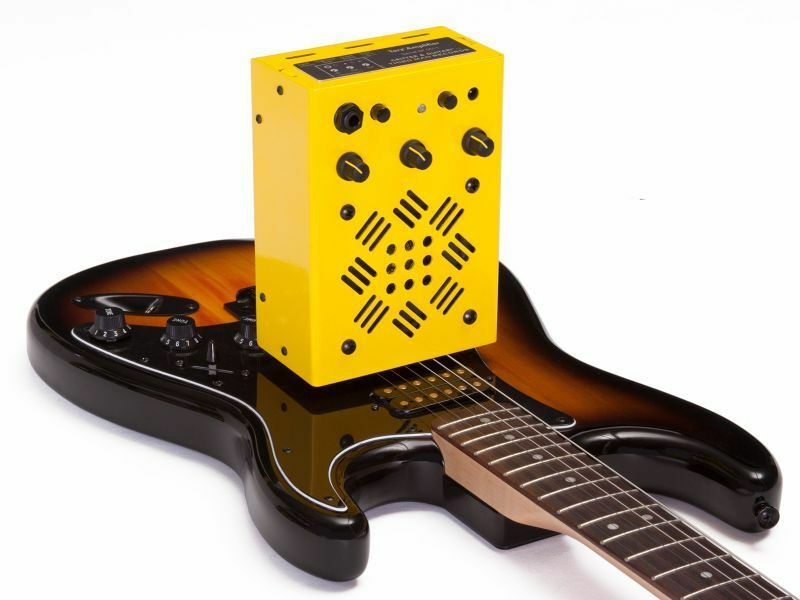 The right knob controls the overall volume of the amp.